Most iPhone users assume that when they delete text messages threads or conversations, they are gone forever. This is not exactly true. Conversations that have been erased from an iPhone iOS 12 can sometimes be recovered very easily. 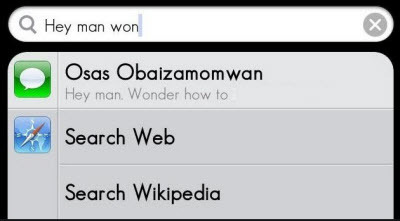 All you have to do is to type in the keyword in spotlight search, the particular messages carrying it reappear on the phone. Usually, iPhone users can also retrieve their deleted messages by restoring backup and syncing via iTunes. The simplest way to look up an erased conversation is spotlight search. This is mainly because even if you have deleted the messages, they remain somewhere in phone memory. At times, spotlight search iPhone iOS 12 deleted messages can also lead to privacy leaks as they do not get erased permanently. Part 1: How to Spotlight Search iPhone Deleted Messages? Part 2: How to Erase Deleted Messages Permanently? Part 4: Why should We Erase iPhone? Part 1: How to Spotlight Search iPhone iOS 12 Deleted Messages? Go to the home screen and wipe down, the spotlight search bar shows on the top. Simply type the content you want to search and you will see the results. Part 2: How to Erase Deleted iOS 12 Messages Permanently? iMyFone Umate Pro ensures that all deleted messages are 100% non-recoverable. Users can also selectively preview their files and then erase accordingly. The program is ideal for permanently removing iPhone spotlight search deleted text messages from memory. 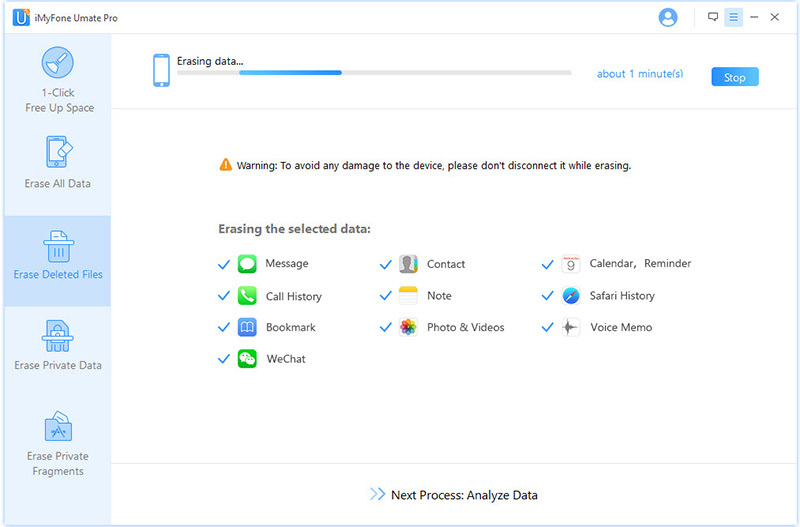 Deleted data like call history, contacts, videos and photos, along with text messages can be erased permanently. It ensures that all the data from the phone is completely removed and cannot be recovered. It is a good option if you want to prevent privacy leak and keep non-sensitive media on your device. You can clean up private files from Whatsapp, Viber, Kik, WeChat left by other third-party apps. Preview files before deleting them. It prevents you from accidently deleting files that you want to keep. 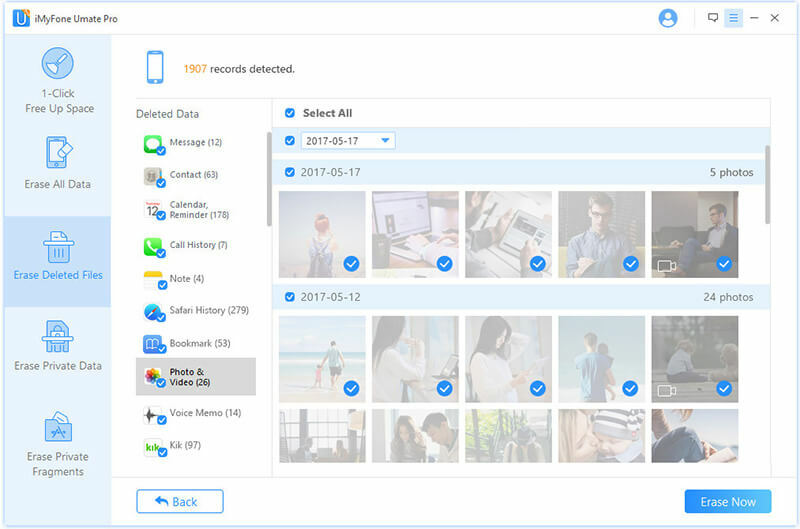 It’s easy to use iMyFone Umate Pro to erase deleted messages. All you have to do is connect your device and run the software. 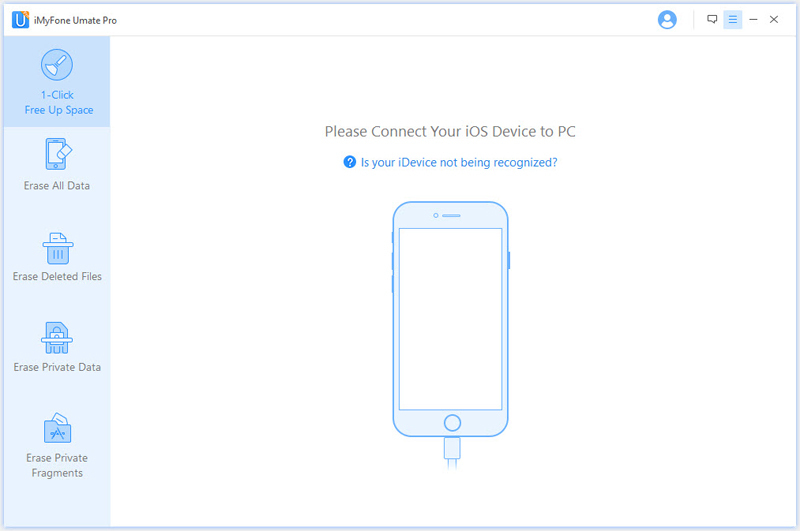 Run iMyFone Umate Pro and connect the iOS device to the system. Select "Erase Deleted Data" tab and click “Scan”. After scanning, you can preview and choose the messages you want to delete permanently. Type “delete” to confirm your action, click the “Erase Now” button to finish. The two words may have similar meaning but when it comes to technology, they differ greatly. As stated before, spotlight search iPhone deleted messages are those which can be recovered even though they have been seemingly removed by the user. Deletion of data is temporary and allows files to be retrieved through various means, where else, erasure is permanent data removal, which means it can never be recovered no matter what. Part 4: Why should We Erase iPhone iOS 12 Data? There can be various reasons for completely erasing data from an iPhone. In this day and age, most people do it due to fear of security breach and privacy invasion. 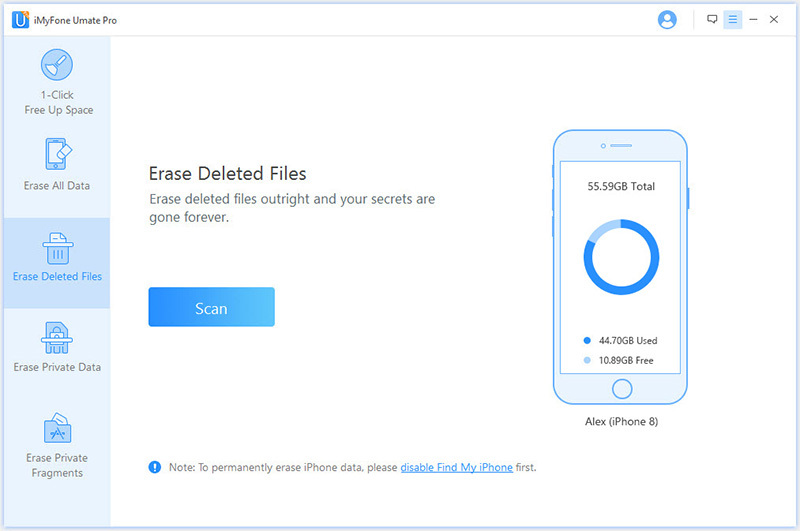 Although you have been deleted your personal data on your iPhone, people can easily spotlight search iPhone deleted messages. Data erasing can be done to keep information secure as well as maintain confidentiality. Other times, there are sensitive files that need to be protected. Some people resell their iPhones which is why erasing of all data becomes a requirement. Identity theft and hacking has become a norm in recent times, hence, users have to be weary of that as well. If we keep on erasing our data from the iPhones effectively, then there is no reason to worry about leaks or unwanted people viewing private information. To sum up, iPhone users delete their messages from the phone and do not opt for permanent removal. These deleted text messages are present within the memory and can be retrieved by anyone. This is why iMyfone Umate Pro has permanent data erasing modes, including erasing spotlight search iPhone deleted messages.